Only a few hands in to the New Year and @BobMatherPoker turns pocket Fours in to a flopped boat, getting Kirk Rexford to call his river bet so he's able to show a 4-3-3 flop was more than just good. It's early in the day so the pot wasn't yuge, but it's an early 2018 win for Ed nonetheless. Kirk gets a few back the next hand by raising Ed Miller's BB and Ed scampers away. 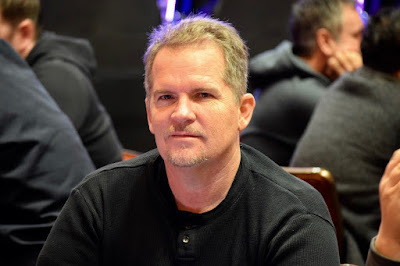 Bob says he and Candace Collins are planning to be here mid-month for the entire 12-day WSOP Circuit... what about you?